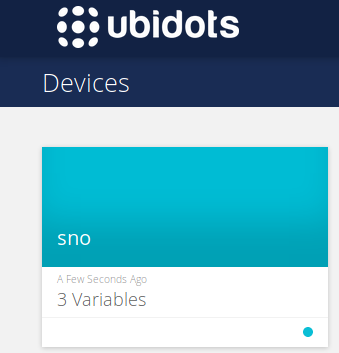 Learn how to connect the Alorium Snō Board with Ubidots in just a few minutes! The Alorium Technology device Snō is an FPGA-based development board in a compact, ready-for-integration footprint. It is programmed with the popular and easy to use Arduino IDE. To learn more about Snō, click here. 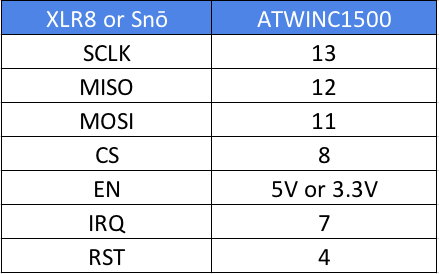 Following this quick set-up guide you will be able to connect the Snō using the ATWINC1500 WiFi breakout board to send and receive data from/to Ubidots. IMPORTANT NOTE: To be able to connect and program the Snō you need to install the FTDI drivers required. For this, please reference to the FTDI Driver Installation step from the Alorium Official Getting Started guide. 3. Confirm that the XLR8 board package now exists in your list of available boards. 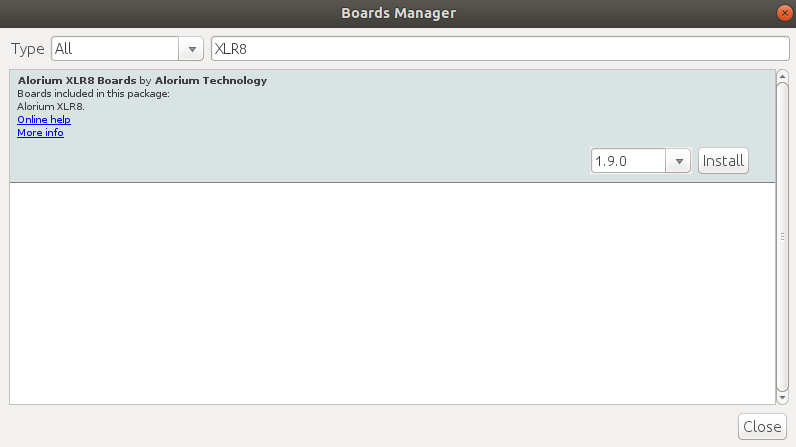 Go to Tools > Board and choose the new selection titled “Alorium XLR8 Boards”. Select your new Snō board from the Board menu. FYI, after selecting the Snō board, you will find a new menu item at Tools -> FPGA Image, where you will find a number of FPGA images that provide different operating speeds and different XB configurations. 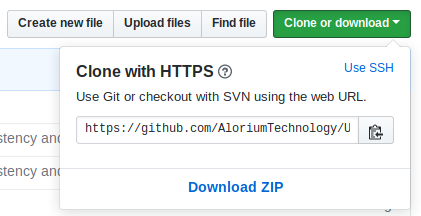 Go to Alorium Tech's Github repository and download the Alorium XLR8 Ubidots Library. To download the library click the green button called "Clone or download" and select "Download ZIP". 2. Now back in the Arduino IDE, click Sketch -> Include Library -> Add .ZIP Library. Go to Sketch/Program –> Include Library –> Library Manager and install the XLR8 Ubidots library. To simply find the correct library, search "XLR8 Ubidots" within the search bar. 5. 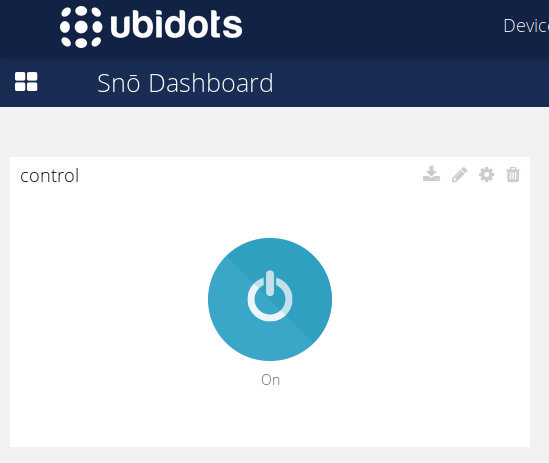 To start sending values from the Ubidots to your Snō device, simply create a control widget in any of your Ubidots dashboard. To add a new Control Widget, click on the "+" icon in the top right of the dashboard. For additional assistance creating a control widget, check out this Control Widget setup guide. 5.1. To create the widget for your Snō click Control > Switch > Snō > control > Finish. 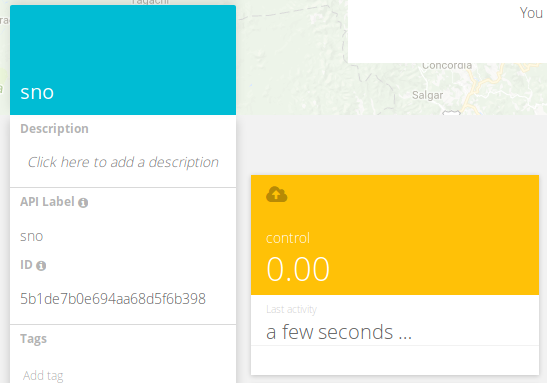 In just a few minutes you have integrated the Alorium Snō board with Ubidots. You are now able to build your IoT Apps to monitor and control any system or environment. The value of data is in the decisions we make with it. Now with your Alorium device connected to and communicating with Ubidots, it's up to you to complete the solution.